Posted on 2015年3月25日 by チャルメラ. 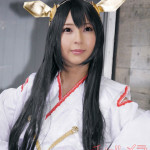 This entry was posted in 2015冬, ワンフェス, 美恋もこ and tagged レ級, 妹, 水着, 美恋もこ, 艦これ. Bookmark the permalink.